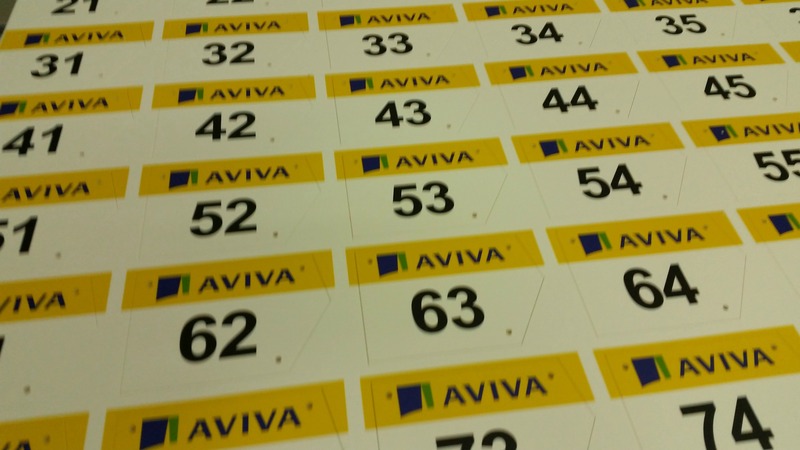 JH Signage Ltd Produce some more bike number plates for the Womens Aviva Tour. JH Signage manufactured the light-weight, versatile and durable products out of one of the leading brands of foam PVC; Foamalux. The Number plates were cut using JH Signage’s Texcel CNC router and printed both sides using the Jetrix UV Flatbed.